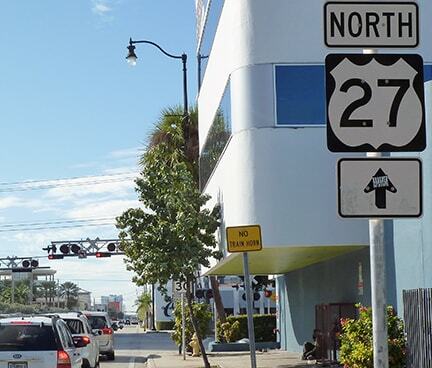 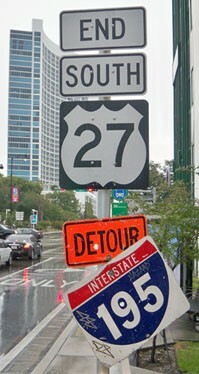 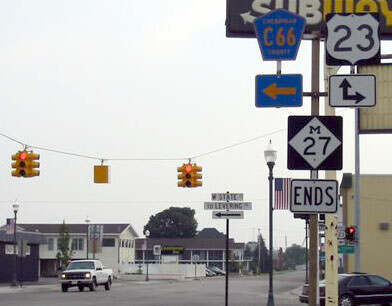 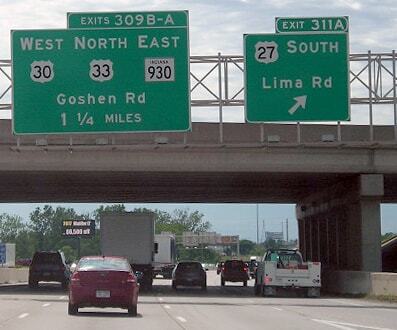 The modern end of M-27 is the historic end of US 27. 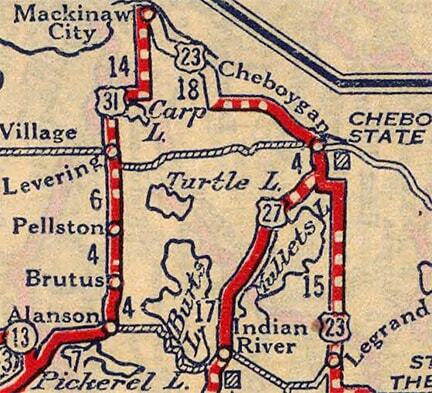 By 1938, the US 27 designation had been extended with US 23 into Mackinaw City. 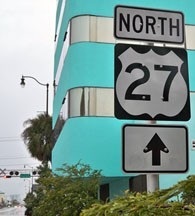 Then, after the Mackinac Bridge was completed in late 1957, US 27 was signed over it, ending at US 2 in St. Ignace, on the Northern Peninsula. 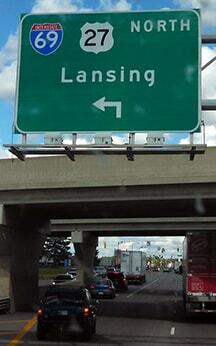 That lasted only about two years, until I-75 was routed over the Bridge: at that point, US 27 was truncated back to Mackinaw. 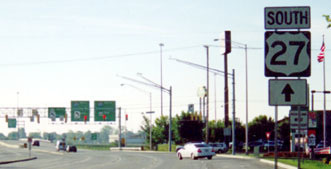 But that did not last long, either: in 1962, all of US 27 north of Grayling was decommissioned... and since then, virtually the entire original road from there down to Ft. Wayne has been replaced with freeways. 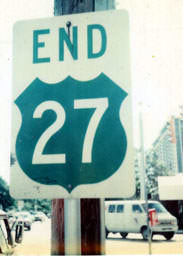 In 1926 the south end of US 27 was in Cincinnati. 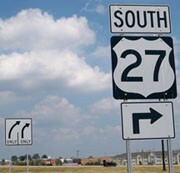 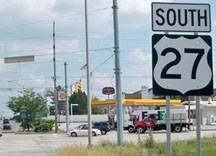 ​Already by the next year US 27 had been extended to Chattanooga. 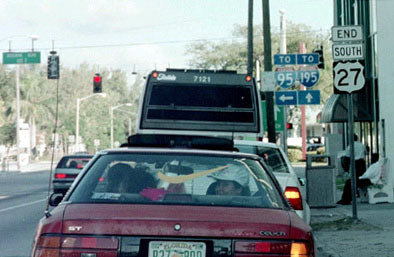 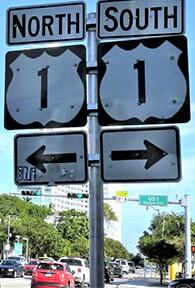 And in 1934 the designation was lengthened further south, to Tallahassee. 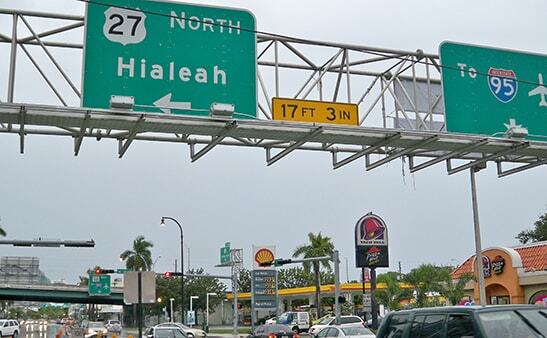 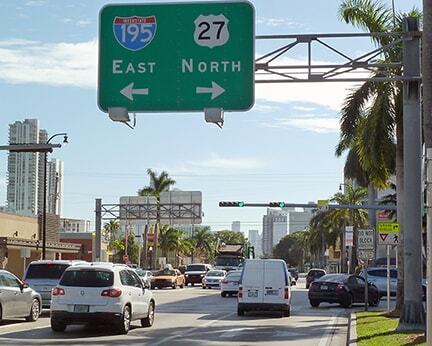 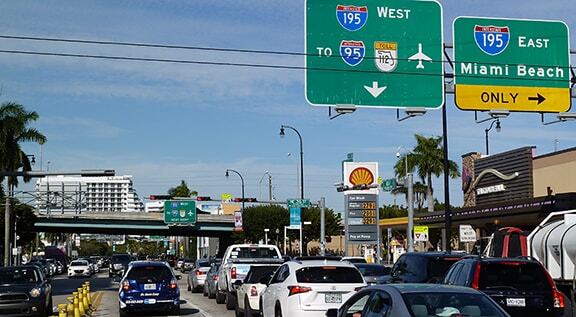 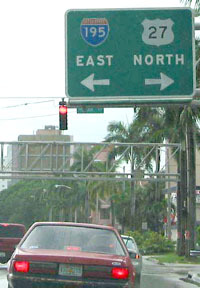 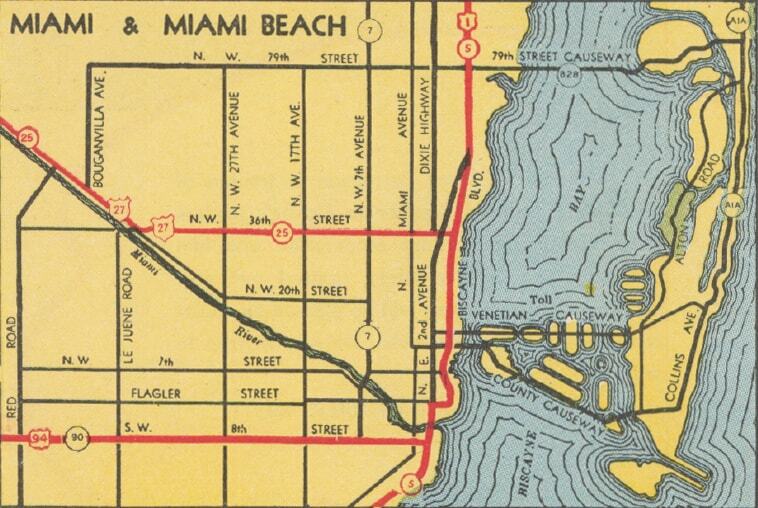 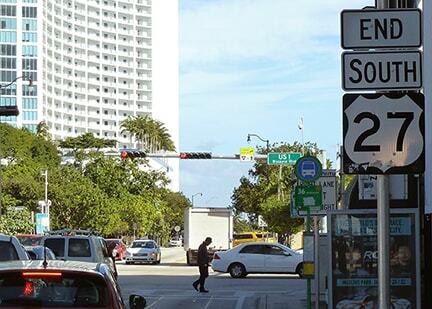 That is where US 27 ends today, but drivers continuing east from this intersection end up on I-195 (the Julia Tuttle Causeway) over Biscayne Bay to Miami Beach.